Castle's Stana Katic Is Married! Castle star Stana Katic, who plays everyone's favorite NYPD detective Kate Beckett, has married her longtime beau Kris Brkljac! Stana's character Kate Beckett recently wed best-selling author Richard Castle (played by Nathan Fillion) after six years of working together to solve murders in New York City! When she married Castle, Beckett also gained a step-daughter, Alexis (played by Molly Quinn), and a mother-in-law, Martha (played by Susan Sullivan). Their nuptials were delayed after Castle was kidnapped on their wedding day in the Season 6 Finale "For Better or Worse." When Castle finally returned months later, with mysterious injuries and no idea where he'd been, or what happened to him, he wanted to get married right away. But Beckett needed time to deal with the two months she spent desperately searching for her fiancé. In the Season 7 Premiere "Driven," Beckett, Detective Kevin Ryan (played by Seamus Dever), Detective Javier Esposito (played by John Huertas), and medical examiner Lanie Parish (played by Tamala Jones) desperately search for Castle. They uncover a myriad of strange evidence, and traced Castle's movements to a campsite in Massachusetts. Then, the Coast Guard finds Castle himself, unconscious and floating in a boat in the Atlantic Ocean. Castle continues the investigation into his disappearance in Season 7 Episode 2 "Montreal," but didn't find the answers he was looking for. But by Episode 6, "The Time of Our Lives," they've had enough waiting and they finally get married! 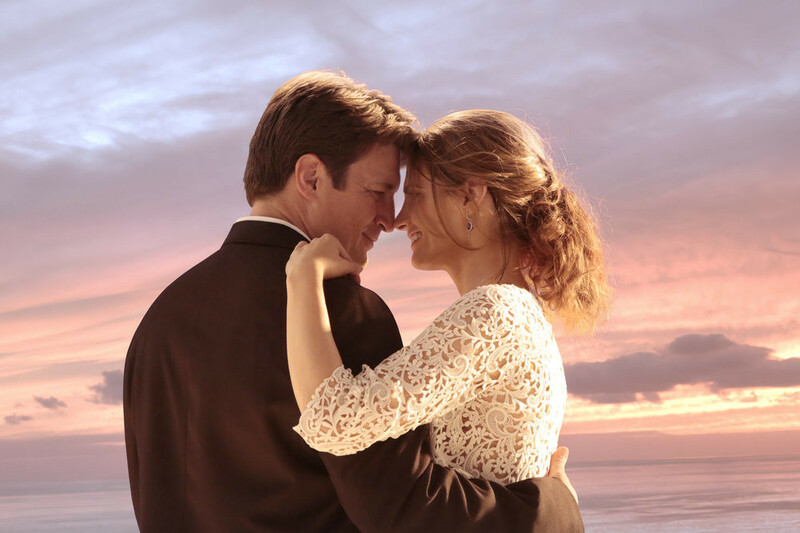 Castle and Beckett finally tie the knot in "Time Changes Things."